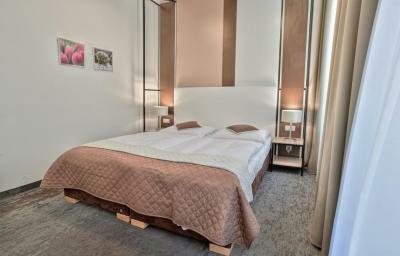 Lock in a great price for Royal Plaza – rated 8.2 by recent guests! 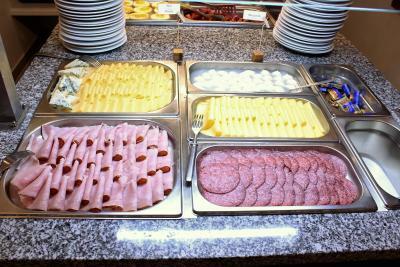 Great breakfast selection, location is a short walk to and from almost everywhere, and flexible payment (local currency, euro, cash or card). Location was good, although the access to the hotel is a little complicated. 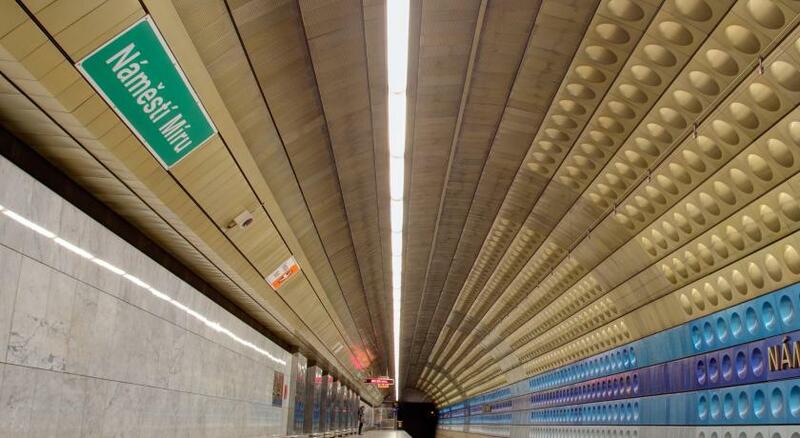 There’s a highway around it, so you gotta go underground passages to get to it. Close to city centre and many attractions. Good breakfast. 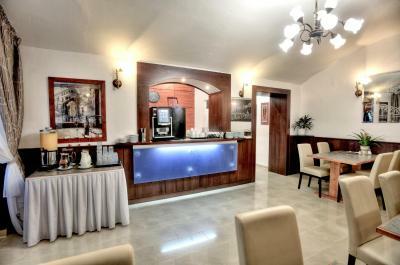 It was within walking distance to many attractions near the centre of the city. It was close to the city centre. I could walk to many of the attractions. The staff was very friendly and helpful, and the property is clean. 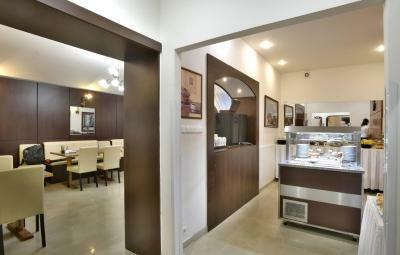 The location and friendliness of staff, WiFi and breakfast are good too. It was very clean and room was big. Hotel staff are really nice. Breakfast was good! 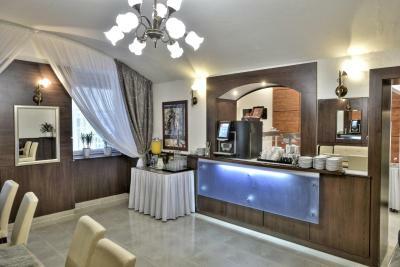 The hotel was recently renovated and in a great location. The breakfast had a great variety of food. Royal Plaza This rating is a reflection of how the property compares to the industry standard when it comes to price, facilities and services available. It's based on a self-evaluation by the property. Use this rating to help choose your stay! 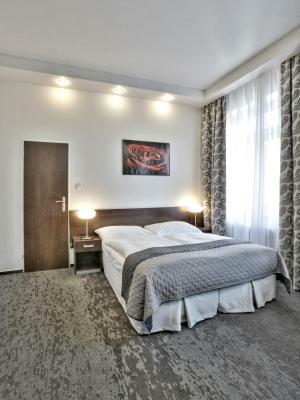 One of our top picks in Prague.Royal Plaza hotel is located just 350 feet from Wenceslas Square and within a walking distance from Prague's historic attractions; free WiFi is available in all areas. 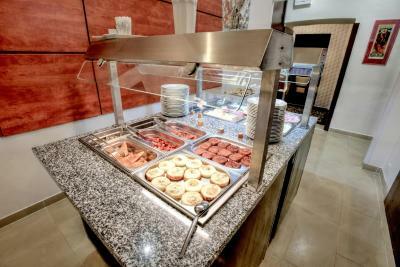 Guests can begin their day with a rich buffet breakfast at the Royal Plaza. 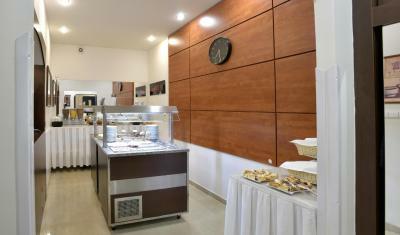 The reception is at guest's service 24 hours a day. 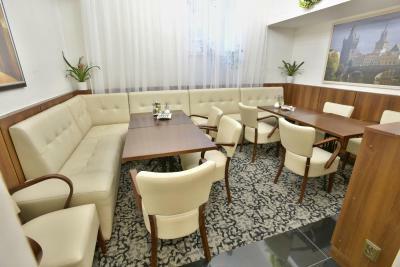 Royal Plaza is set in the heart of the attractive and calm Vinohrady district with its many parks. 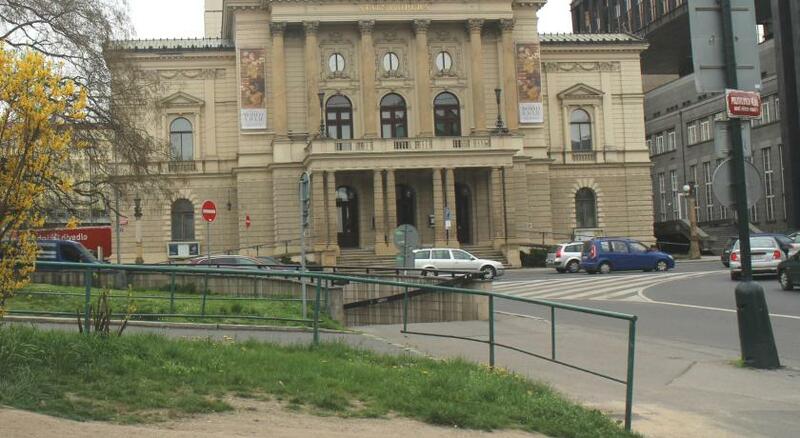 The Prague Congress Center is just two metro stops away and the National Museum and the State Opera House are located just 650 feet from the hotel. 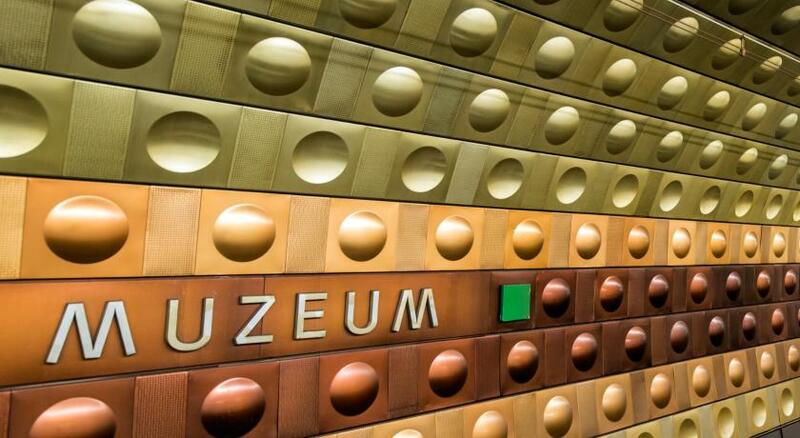 The Museum Metro Station and Tram Stop is a 1-minute walk from the property. The 24-hour reception of the Royal Plaza sells tickets for public transportation and can arrange trips, tickets for theater performances, into museums and so on. 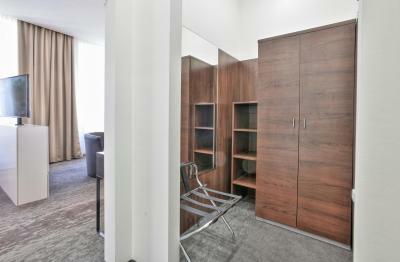 Free secured parking is available 1.2 mi from the property. 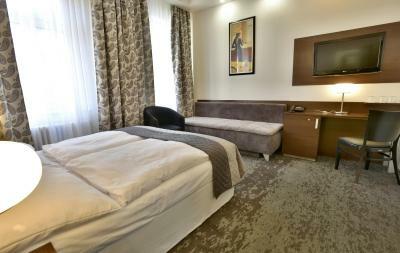 When would you like to stay at Royal Plaza? 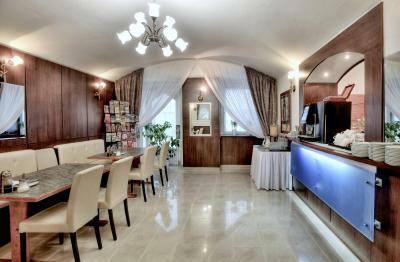 Offers a minibar and satellite TV. One double bed and one single bed or 3 single beds. 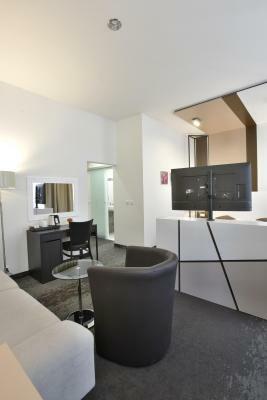 Offers a minibar and satellite TV. 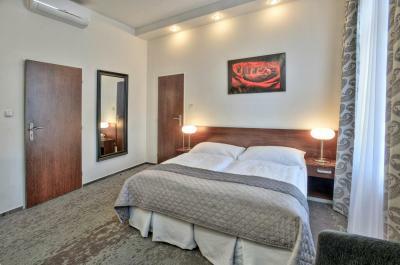 A double bed and 2 single beds or 4 single beds, equipped with a minibar and satellite TV. The hotel is in the centre, but in the quite street. 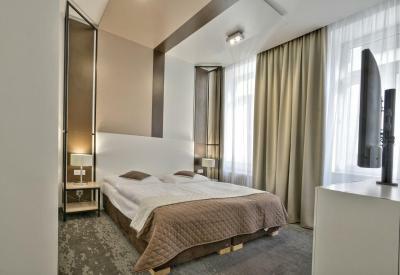 Hotel surroundings – This neighborhood is a great choice for travelers interested in history, architecture and atmosphere – Check location Great location - show map Guests loved walking around the neighborhood! House Rules Royal Plaza takes special requests – add in the next step! Royal Plaza accepts these cards and reserves the right to temporarily hold an amount prior to arrival. Please note that the parking facilities are 1.2 mi from the hotel. Please note that payments in cash can be settled both in the local Czech Koruna (CZK) currency as well as in Euro (EUR). Please note that the maximum length of a vehicle is 20 feet. In case of bookings of 4 and more rooms, special conditions apply. 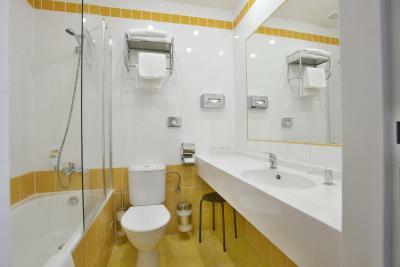 Property will inform the guest directly about these conditions. poor sound insulation in ground floor and a bit peculiar smell around reception and entrance common areas. The stair is too high and no lift to reception and we have very big luggages. Don’t worry about this because the staff was nice for helping move luggages. 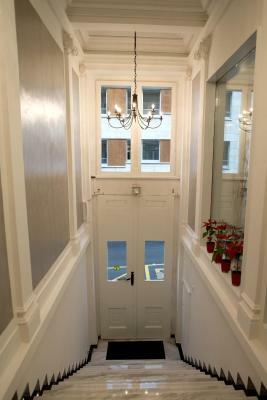 Nice smell in reception room from carnations flowers. Car parking place is not close to Royal hotel..it is 1.5Km far away..so this is only not convenience for staying at. Electric kettle on the room would be a plus. 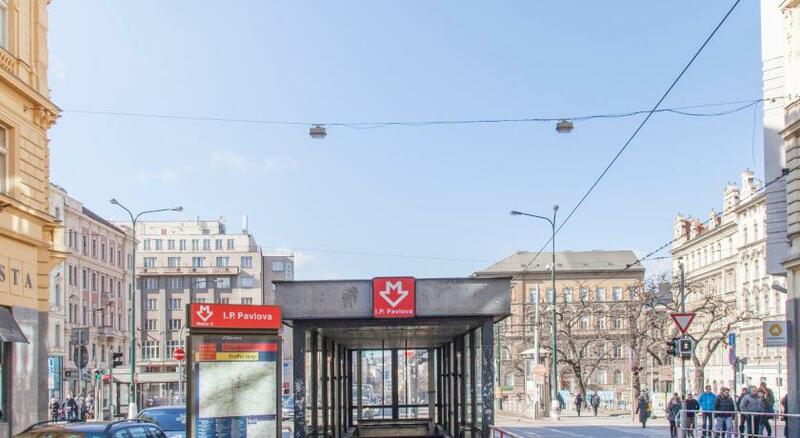 Location is excellent.Minutes walk from Wenceslas Square. The room was small, the bathroom very small. 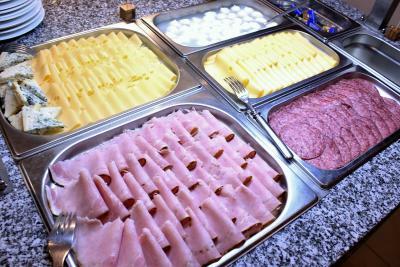 The breakfast was ok but I expected a wider selection of foods and cakes. 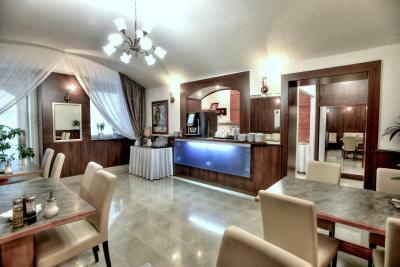 I like the location and the reception was very helpful. I want to express a bad experience i had during my stay at the Royal Plaza. Our first night at the hotel while we were sleeping we were robbed. They took our wallet and our money. The next morning the police came to the hotel to report the incident. The hotel was unwilling to help us and accept that they were responsible for leaving the entrance door open without anybody at the front desk. Their excuse was that they forgot to lock the door. They didn't even want to check the security camera of the hotel to see at 3.30 a.m somebody broke into our room. It is unacceptable that a hotel like this didn't have the proportionate security. It is also unacceptable for tourists not to have the right safety during their stay. Unfortunately, we didn't get any compensation. Their attitude was very unprofessional and i would not recommend it!!!!!! The staff were not friendly. They would never greet a person,especially in breakfast area. The cleaning lady in our bedroom was friendly and courteous. The guy who checked us out was polite and friendly. The hotel was warm and clean. 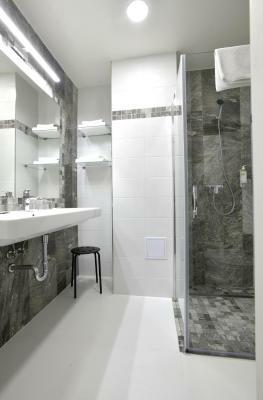 The rooms and bathroom were cleaned each day. The towels were changed each day. The bed was made each day. The bed linen was changed during our 5 day stay. The breakfast was included in the price. It was really good. Juices. Fruit, yogurt,cereal, eggs,sausage, cheese, various bread,pastries and coffee. It was very good for the price we paid. The hotel is central to the city. It's also near the Metro. On our first night we had to get help to find it .But I was happy with my stay. 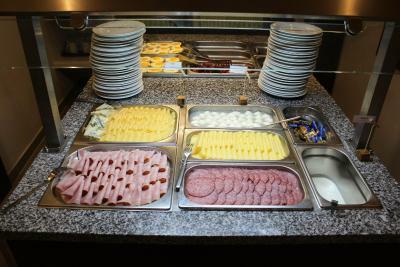 Breakfast was good, beds were confortable and it was very close to the centre.